The brothers with magical power! 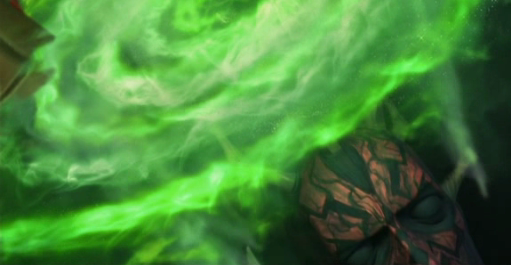 Continuing on in my Darth Maul exploration project, brings us to season 4. 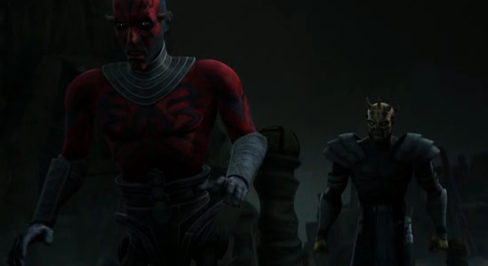 In season 3, we discover that, to everyone’s shock, Darth Maul is still alive! Towards the end of Season 4, Savage Oppress finds him, albeit not totally well, and brings him to be rehabilitated by Mother Talzin, which gives rise to a new Darth Maul (Darth Maul 2.0?). What do we learn about Darth Maul in this discovery and rehab? In the penultimate episode of season 4 (4.21 “Brothers”), Savage Oppress tracks his brother down to Lotho Minor, a junk planet, with very few living creatures. Eventually, he finds him beneath ground, albeit in a state not so healthy. He is rather spider-like, with his top half intact and spider-ish legs for his bottom half. His mental state is much worse than his physical state. We do not discover how or why he got the mechanical spider legs or who affixed them to him. We also do not know why he chose to go to the very tough planet of Lotho Minor. 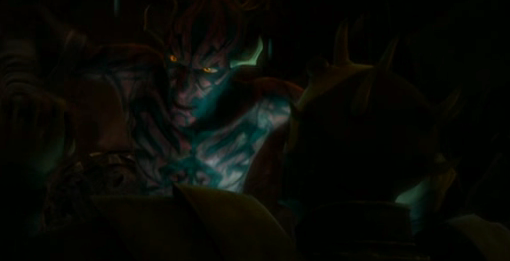 Lotho Minor is a strange place, with seemingly very few living creatures, so there’s not a lot for Darth Maul to eat. However, one thing seems quite clear: he chose to go there to get away from it all. He could have gone to the underworld of Coruscant or reconnected with former associates. How come he did not return to Lord Sidious for help or even Mother Talzin? To these questions, the answers are not found in Star Wars: The Clone Wars. 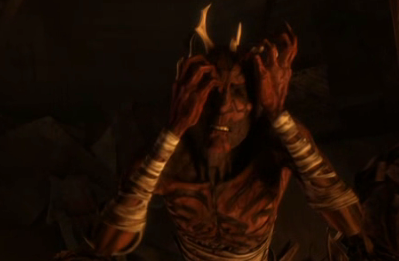 It seems as if Darth Maul does not want to be reminded of anything to which he is connected and is stable with his current situation. 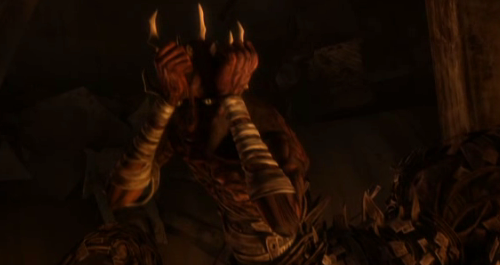 Firstly, it is quite clear that Darth Maul is emotionally/mentally broken. Second, it is interesting that Darth Maul does not answer Savage Oppress about how he got his mechanical spider legs, rather he answers to whom he lost them. 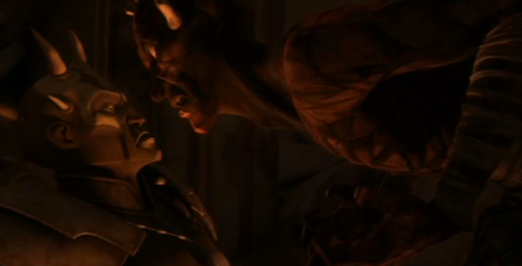 Lastly, it is fascinating that Darth Maul focusses on getting revenge. Immediately following this, we see a scene in the Jedi Temple in which Yoda senses the disturbance in the Force that Darth Maul is still alive and summons Obi-Wan Kenobi to tell him, who is horribly shocked at this revelation. This dialogue is how the episode ends. One element (of many) which is fascinating here is that, despite the Dark Side (okay, Lord Sidious) clouding much of the Jedi’s (and, specifically, Yoda’s) ability to sense what is going on with the Senate (and Cooruscant, writ large), Yoda is able to sense this faraway occurrence with Darth Maul’s return and desire for vengeance. Savage Oppress: “You can begin again, brother,” handing him a light saber. Savage Oppress: “Then you must have your revenge, my brother. Wow – so much to unpack here!!! First, we understand how Darth Maul was able to survive (“my hatred kept my spirit intact, even though my body was not”); second, he notices that the Force feels out of balance; third, he realizes that The Clone Wars have begun without him (so, he must have known that it was supposed to have begun); fourth, he was supposed to be a huge figure in the galaxy, since he was “apprentice to the most powerful being in the Galaxy”; fifth, he sorely desires revenge against Obi-Wan Kenobi. 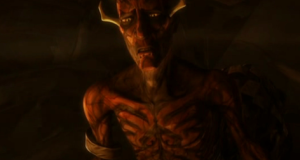 He has been alive all this time, perhaps most of it languishing on Lotho Minor, where he has very little contact with sentient beings, aside from eating them, seemingly having run away from civilization. He was able to stay alive despite being sliced in half by his hatred, which is pretty incredible and, somehow, found someone to create mechanical legs for him. He was deeply psychologically damaged by what had transpired, although Mother Talzin was able to [mostly(?)] remove the psychological damage, enabling him to recover. Mother Talzin also gives him new mechanical legs in order to walk bipedally. He is consumed by the desire for revenge against Obi-Wan Kenobi. Just the very stating of which, is enough for Yoda to take notice and to warn Obi-Wan Kenobi. 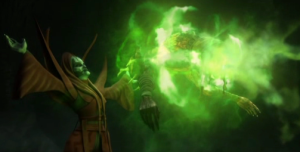 Lastly, we see that he seemed to have known – through his training with Lord Sidious – about a Clone War. Not only this, but it was his apprenticeship to Lord Sidious that he believed to be that enabled him to be destined to become one of the most powerful beings in the Galaxy. And now he wants to reclaim it.